1. It was holy guacamole day, and they made fresh guacamole to order in our cafeteria. It was delicious. 2. This guy came to visit. 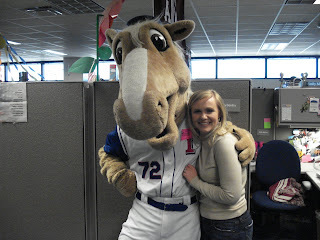 It's Captain, the Texas Rangers' mascot!